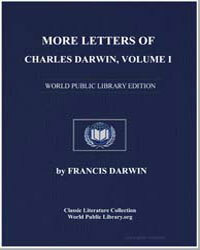 PREFACE In choosing letters for publication I have been largely guided by the wish to illustrate my father’s personal character. 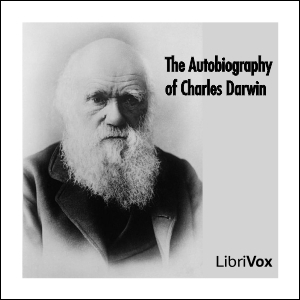 But his life was so essentially one of work, that a history of the man could not be written without following closely the career of the author. Thus it comes about that the chief part of the book falls into chapters whose titles correspond to the names of his books. 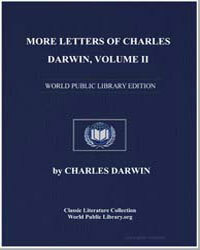 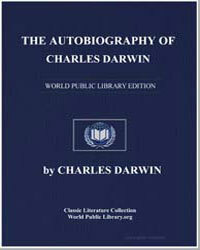 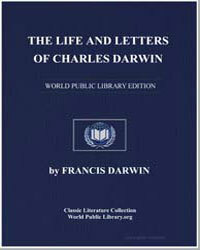 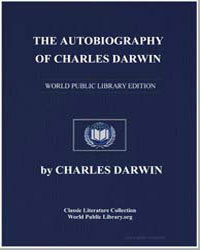 Includes recollections of John Henslow by Charles Darwin, p. 51-55.